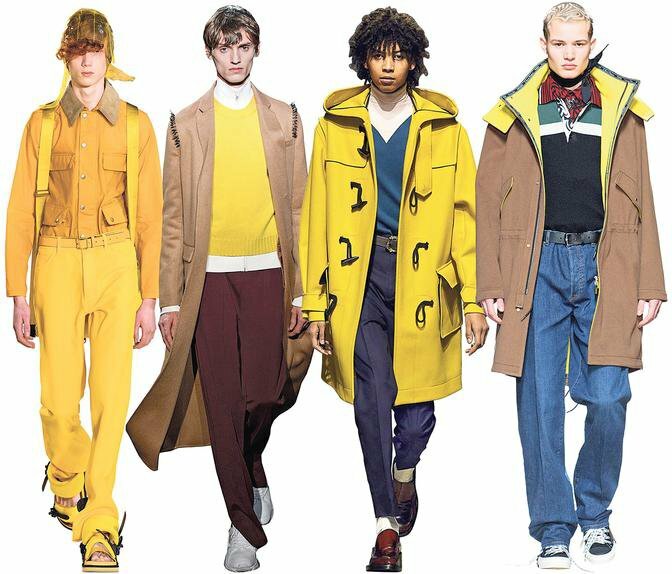 Like pastel pink this summer, yellow has been seen on fall runways for men from the stripe on the fireman jacket to a full on sweater. Here’s how to rock the hue IRL. 1. 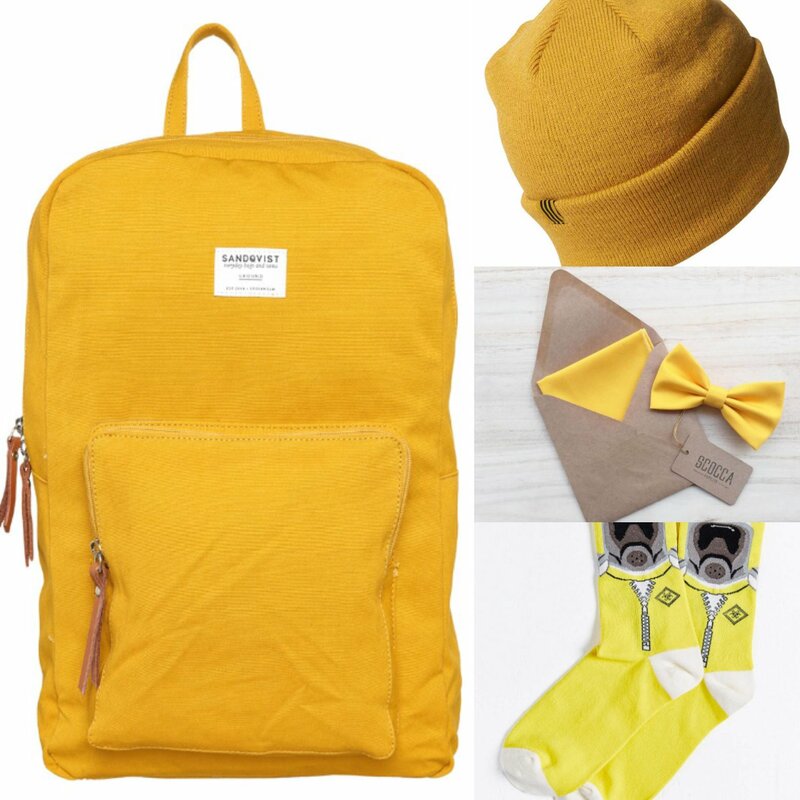 Light yellow highlights with trim that points to the hue or an accessory like socks or hats. 2. Mildly adventurous? 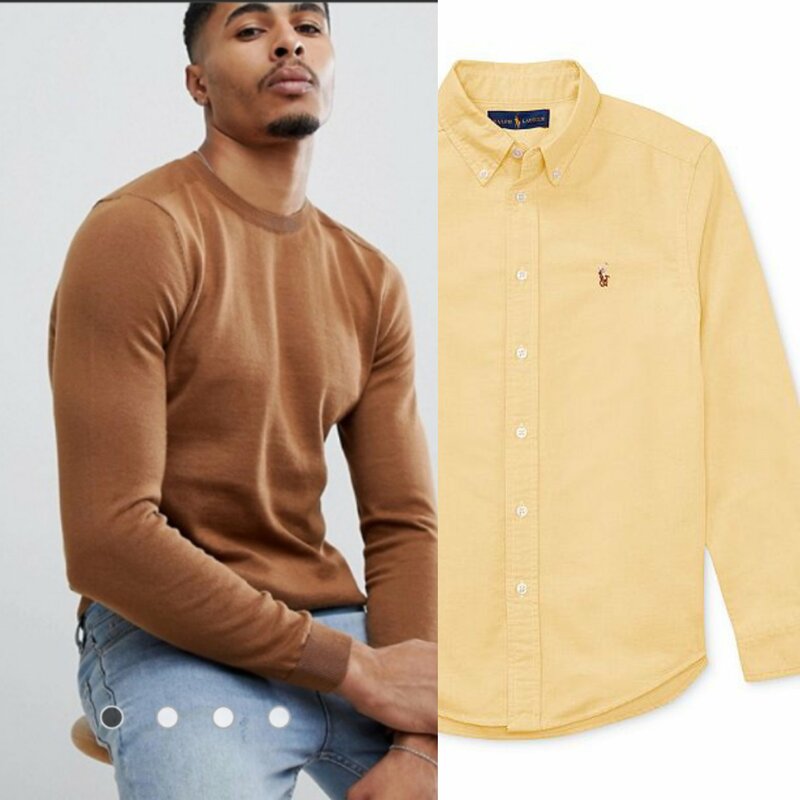 Try a sweater or the shirt that goes under the sweater (navy blue to pop the hue or a brown hue to mute it a little). 3. Ready for full on yellow? The first two looks in the opening image are the truly bold but the second is more realistic. 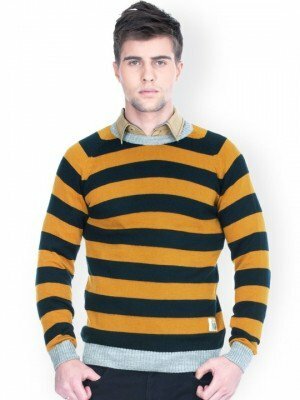 Still not ready for a full yellow sweater, pick a striped one instead.